The preparation of Inji Pachadi is very similar to Puli Saaru or Puli Pachadi. The best combo is Inji Pachadi & Upma. 1. Heat oil in a pan. Splutter mustard. 2. Add fenugreek seeds, red chilly, green chilly, asafoetida and curry leaves. Saute for few minutes. 3. Now add, chopped ginger and saute well. 4. Add tamarind juice, water, turmeric powder, salt and Jaggery. Let the contents boil well. 6. 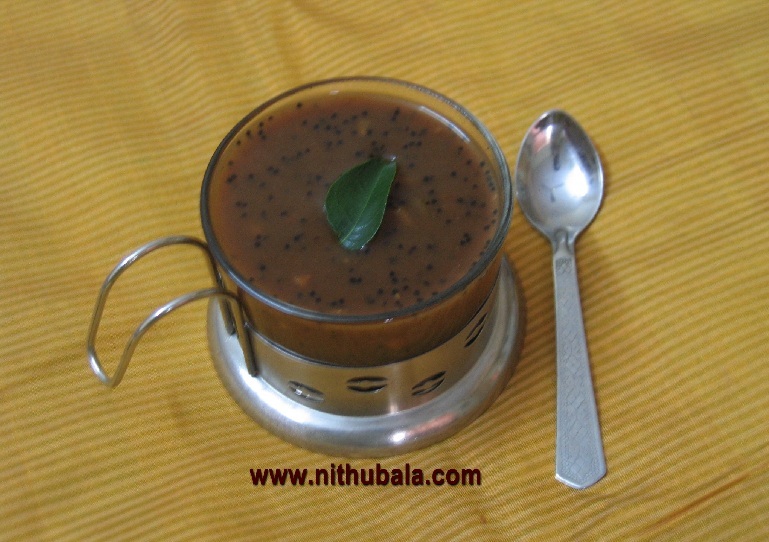 Serve with white Rice Upma or Rava Upma or Pongal. that is so yummyyyy!!! lip smacking chutney!!! awesome tangy and sweet inji pachadi.